The player can play a piano melody by playing only the black tiles without making a mistake, otherwise he will have to start over. The player must have the reflexes wide awake to perform this game so that he is not mistaken. Make the sweet melody sound with the Piano Tiles 2. APP or on any device with an Internet connection. Have a good time playing only the black keys so that the beautiful song does not stop sounding. 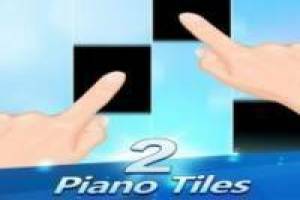 Enjoy the game Piano Tiles 2, it's free, it's one of our Piano games we've selected.